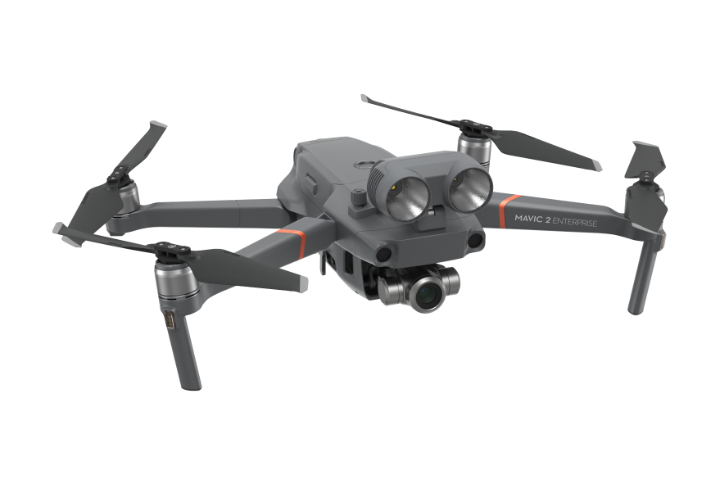 The Mavic 2 Enterprise is the drone built for New Zealand farms, with a zoom camera, customisable loud speaker, impressive range and long flight time. 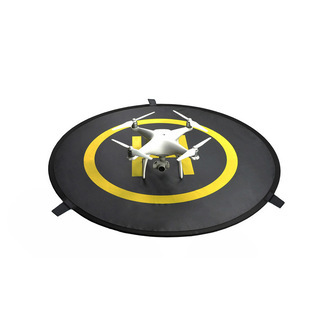 The Farmers package includes an essential extra battery and a landing pad. 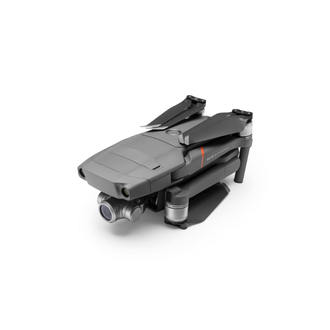 The DJI Mavic 2 Enterprise is similar to the DJI Mavic Pro, which is popular for its portability and high-quality camera, but it is designed with a smart port on top of the craft that allows the addition of modular accessories, such as a loudspeaker and a spotlight. The loudspeaker can be used to record any audio, including a siren sound or dog barking, to play back at a sound level able to be heard from hundreds of metres away. Stock respond quickly and effectively to the sound. 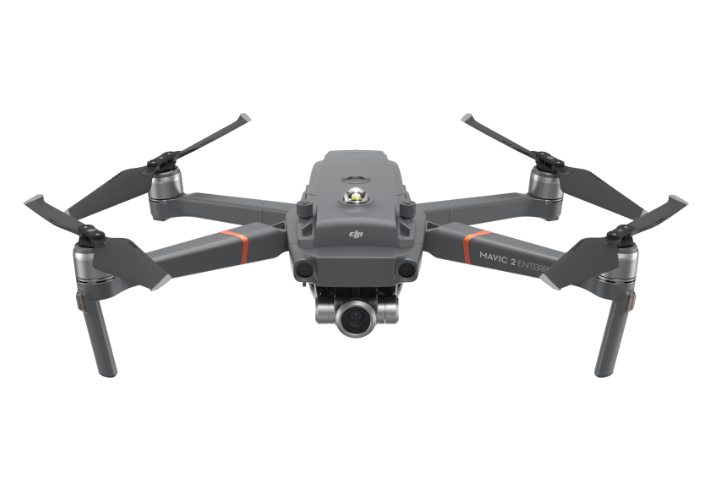 The Mavic 2 Enterprise also sports a 12-megapixel camera with 2x optical zoom and is capable of capturing 4K footage. Farmers already utilise the camera for a range of tasks from checking stock to examining troughs to assessing hard-to-reach fencelines. The addition of the zoom for closer inspection, the spotlight for low light operations and GPS timestamping for accuracy, makes these operations even easier than before. In cold climates, self-heating batteries ensure the drone will perform, even in sub-zero temperatures. 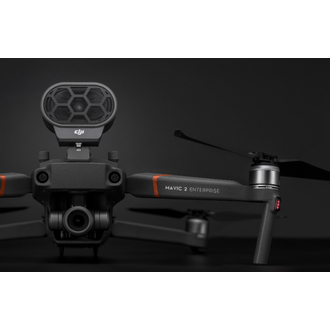 With an extended port that allows the user to connect additional devices onto the drone, helping to perform at its best in a variety of daily and critical missions. The M2E Spotlight for the low light environment, M2E Speaker for air to ground communication and M2E Beacon for night time operations. Tracking, inspecting, and monitoring livestock across a large uneven terrain poses challenges, mainly relating to time and efficiency. The Mavic 2 Enterprise is equipped with a 2x optical zoom camera that lets farmers obtain information regarding the condition and position of your livestock. 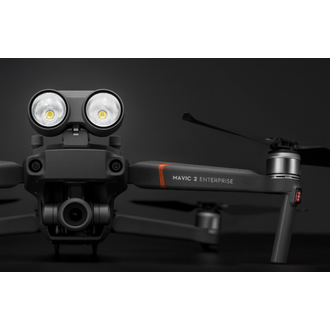 The Mavic 2 Enterprise's omnidirectional obstacle sensing system enables farmers to fly and hover with more stability than ever in a wide range of open and complex environments. It also offers extended flight time of up to 31 minutes and a maximum speed of 72 kph. With this kind of maneuverability, farmers are able to swiftly respond to situations where time is crucial. Equipped with the M2E Loud Speaker module, the craft is capable of recording sounds, such as barking, to playback on the speaker. From our testing, stock respond quickly and effectively to the sounds, even in winds. With a high-quality camera, farmers can also record a video to review and improve herding techniques. The zoom camera enables farmers to be able to monitor the health of livestock even more effectively, even in hard-to-reach environments like deep gullies or steep hillsides. In the past, methods of bird mitigation to protect crops on farms have been very labour intensive and costly. Although attempts at making loud noises or firing off guns have been used by farmers for years, paddocks can still lose half a tonne a hectare to birds. 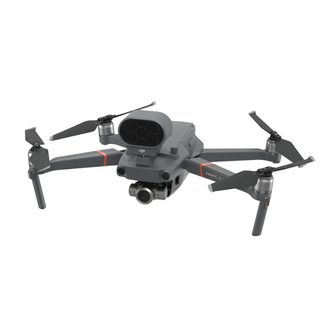 The Mavic 2 Enterprise with its attachable loudspeaker can record a siren to effectively manage and reduce the damage of birds on yields. The speaker is capable of recording high multi-pitch sounds specifically designed to scare birds or bats. By employing the GPS tracking feature, farmers can also set up waypoints to automate their operation. The Mavic 2 Enterprise can cover large areas quickly, mitigating bird numbers over vulnerable crops. A common sight in rural New Zealand is seeing a farmer “walking the fence” with a fence tester to track down the source of a power loss. The most common culprits are vegetation overgrowth, loose wires and broken insulators. With the Mavic 2 Enterprise's powerful 2x zoom camera and its onboard Spotlight, farmers can save many frustrating hours of fence-walking. 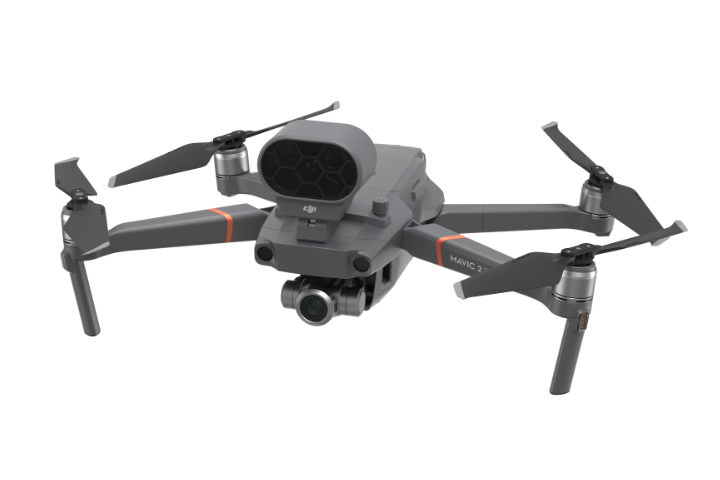 With the ability of the Mavic 2 Enterprise to set up GPS waypoints and record inspections at 4K resolution video, farmers can record the video and then inspect their fences in the comfort of their own home. With the same approach, farmers can regularly inspect your water troughs, shed roofs, and hard-to-reach areas with minimal effort. Stay aware of your immediate airspace. 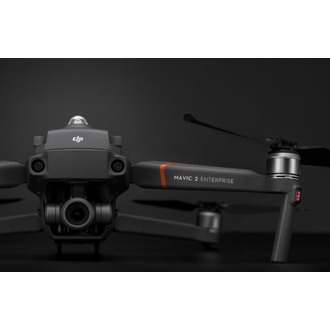 Avoid hazards in the sky with the DJI AirSense, which enhances your airspace safety by giving you instant real-time positioning alerts on nearby manned aircraft. 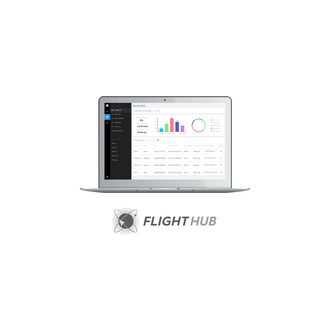 AirSense uses an integrated receiver to automatically alert drone pilots of ADS-B signals from nearby aeroplanes and helicopters, providing real-time positioning alerts through the DJI Pilot mobile app. 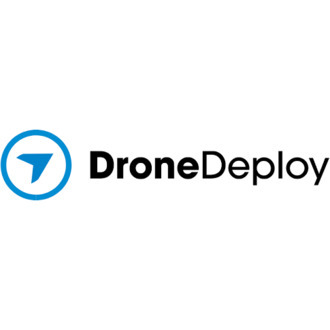 This provides an extra level of safety for professional drone operators who fly in congested airspace or near complicated operations, such as wildfire suppression, disaster recovery and infrastructure monitoring. 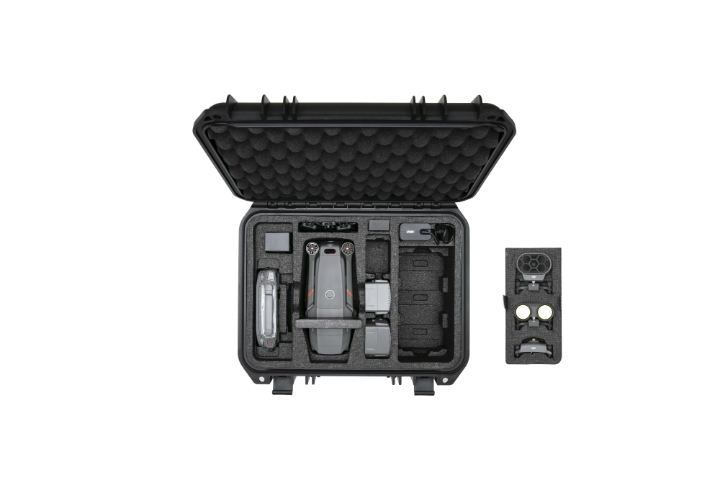 DJI AirSense is a key system to help ensure drones remain a safe addition to the skies. 2. 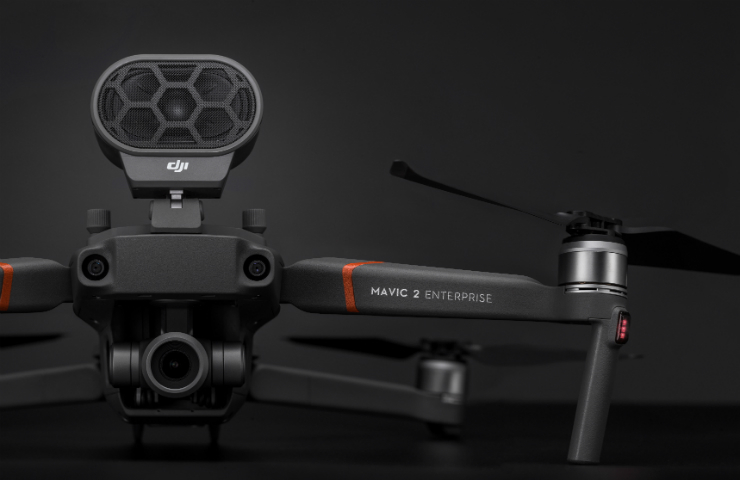 What industries does the Mavic 2 Enterprise serve? 3. Is the Mavic 2 Enterprise waterproof? 4. 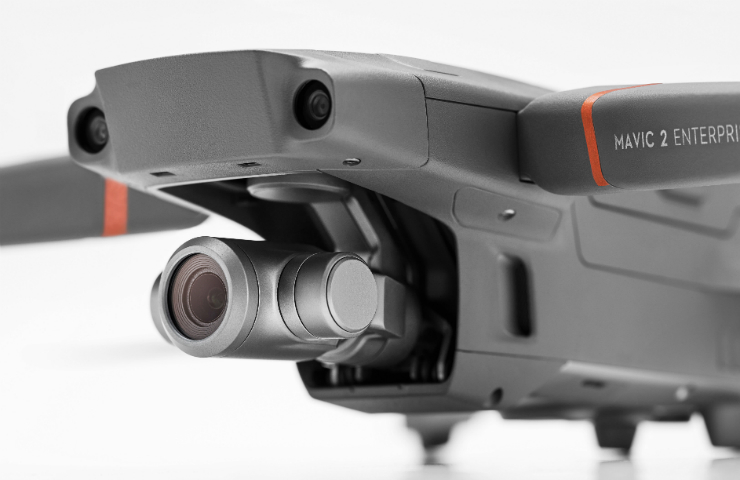 Is the Mavic 2 Enterprise capable of sensing obstacles on the left and right-hand side? 1. 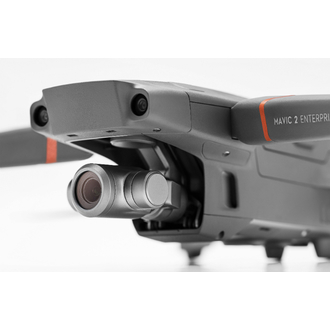 What purpose is the password function of the Mavic 2 Enterprise used for? 2. Does the password protection function also apply to the Micro SD card inserted in the Mavic 2 Enterprise? 3. 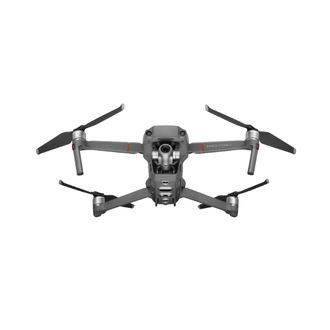 In what situation do I need to enter a password on the Mavic 2 Enterprise? When accessing the onboard storage data via a computer. 4. 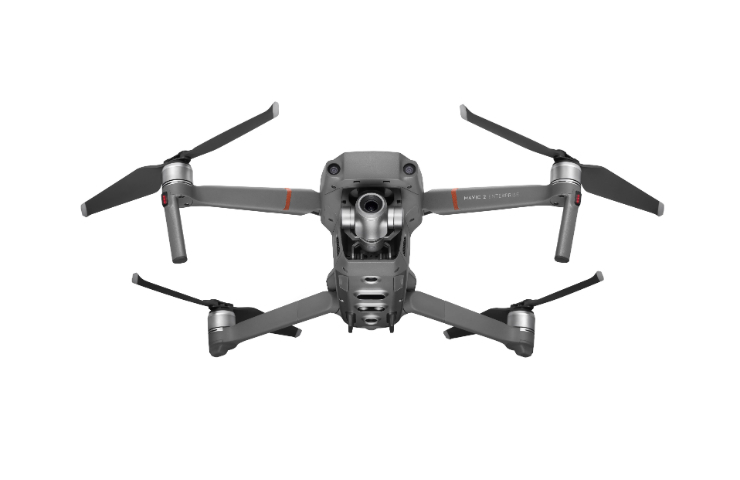 Can I manually set or change the password of the Mavic 2 Enterprise? 1. About GPS timestamping, what information does this function record? 2. How can I enable GPS timestamping? 1. Can I adjust the spotlight angle through a remote controller? No. Currently, you can only adjust the spotlight angle manually before a flight. 2. What is the effective illumination distance of the spotlight? 3. What is the effective communication distance of the loudspeaker? 4. What operation modes does the speaker have? Does it support real-time voice transmission? Play voice messages that are pre-recorded with the DJI Pilot app. 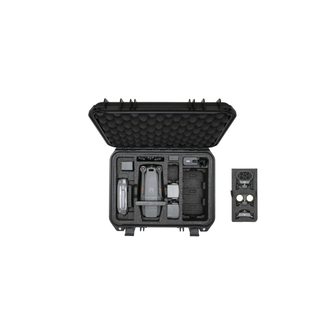 Transmit real-time voice call-outs on the ground. 5. What is the effective illumination distance of the beacon? Depending on environments, approximately 5 kilometres in general conditions. 1. 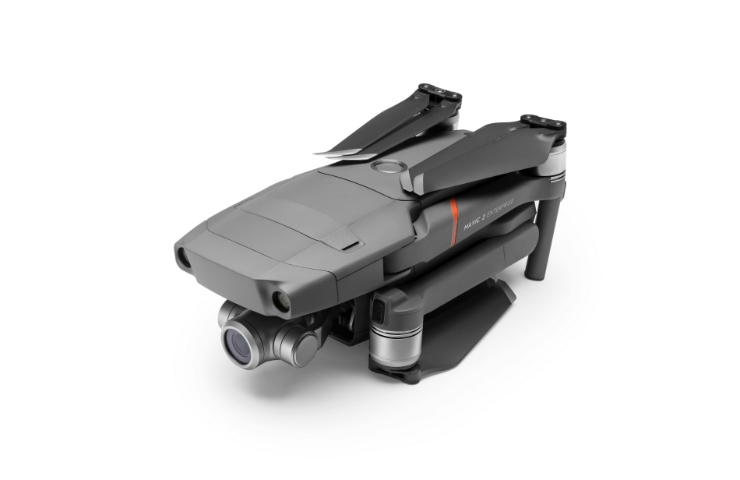 What advantages does the Mavic 2 Enterprise have over the Mavic Pro? 2. How long does it take to charge the Mavic 2 Enterprise remote controller fully? 1. 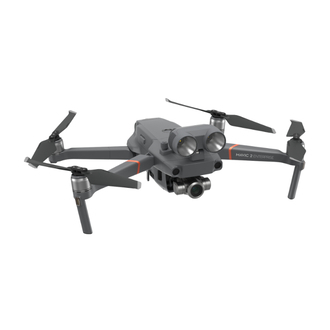 Can I use the Mavic 2 Enterprise batteries on Mavic 2 series and vice versa? 2. 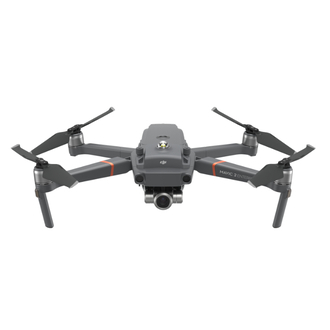 Can I charge the batteries and remote controllers simultaneously using the Mavic 2 Enterprise charger? 3. How long does it take to charge a Mavic 2 Enterprise battery fully? 4. How can I enable the self-heating function of the batteries? 5. Will the battery life reduce if stored incorrectly? 1. 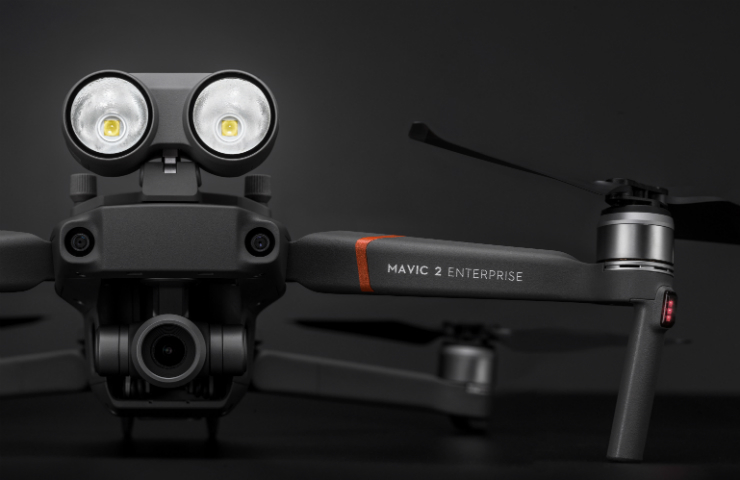 What apps are compatible with the Mavic 2 Enterprise? 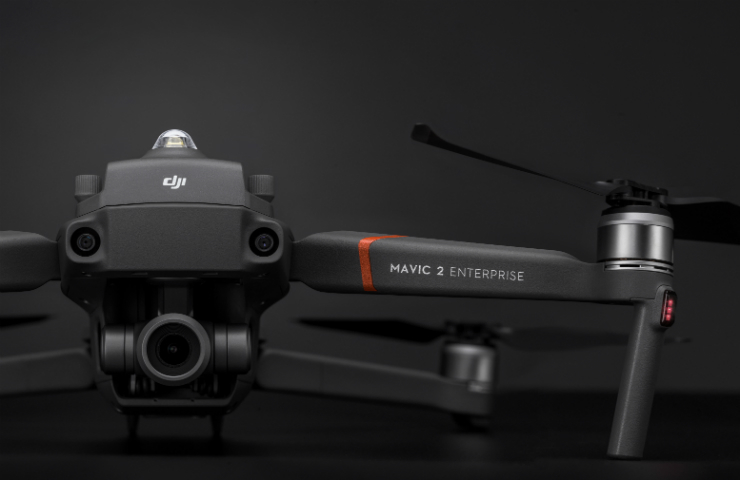 The Mavic 2 Enterprise is only compatible with the DJI Pilot mobile app. 2. Do I have to enable the GPS coordinate and timestamp manually?